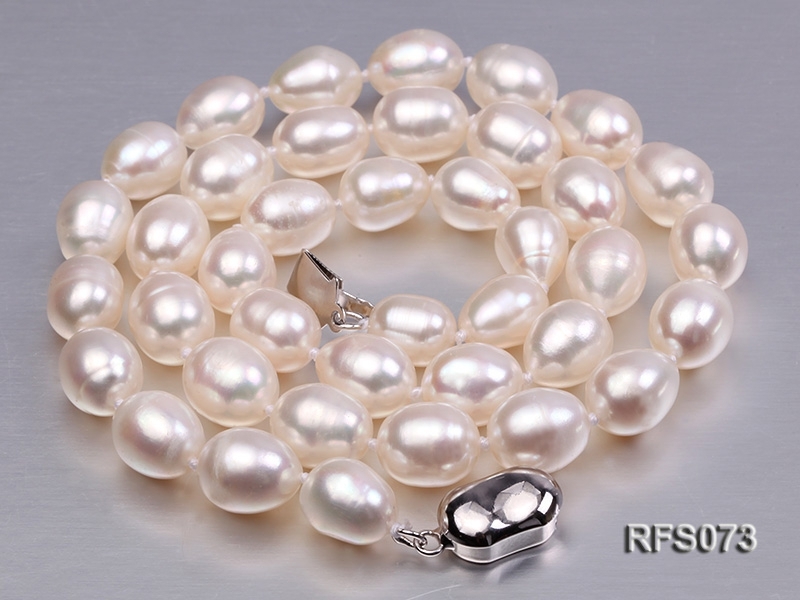 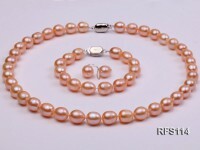 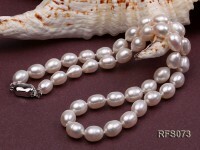 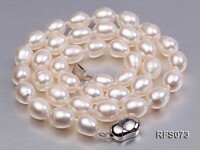 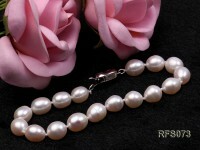 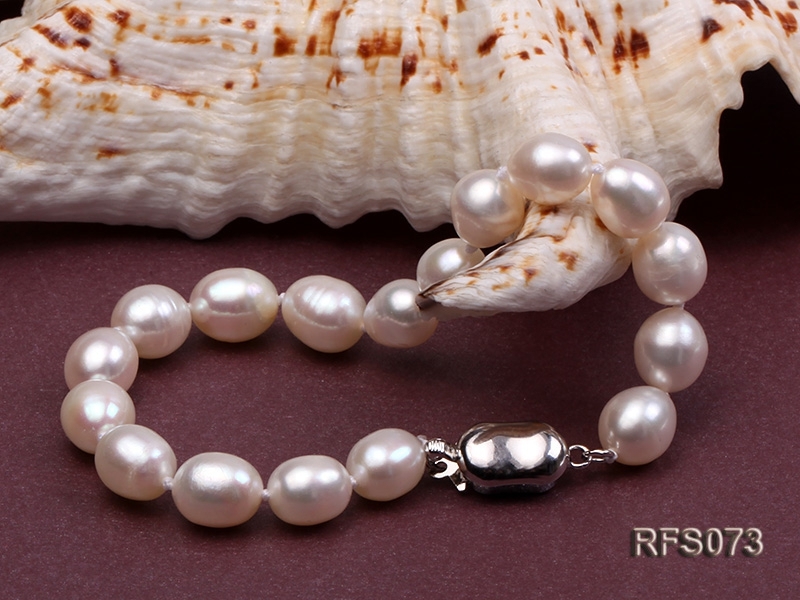 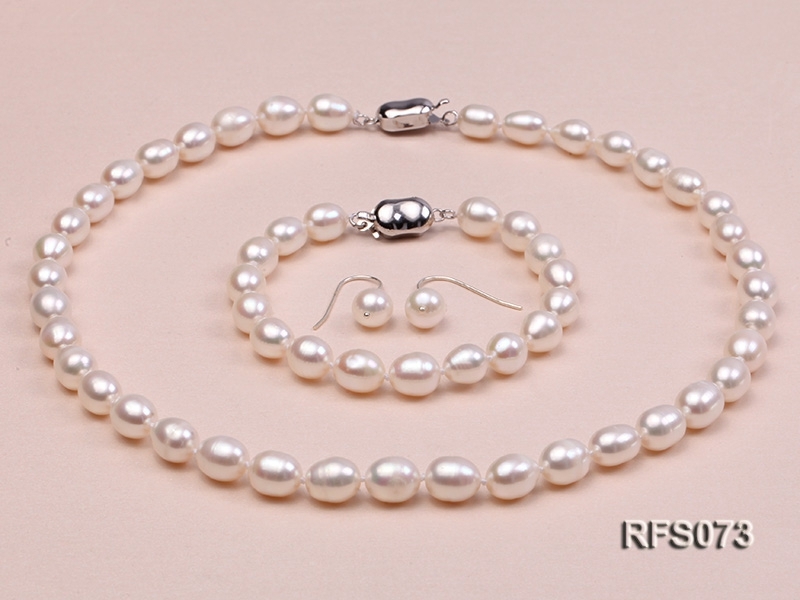 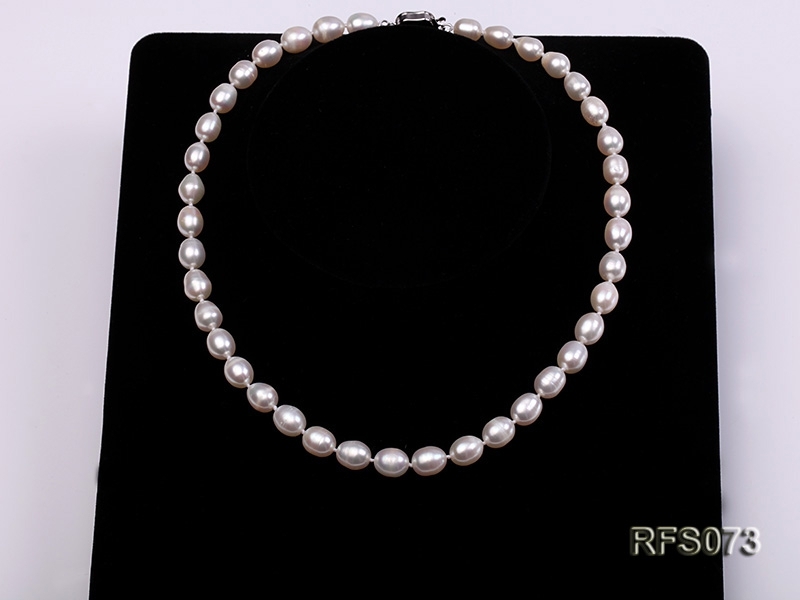 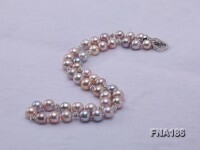 Lovely necklace, bracelet and earrings set made of 7-8mm white rice-shaped cultured freshwater pearls. 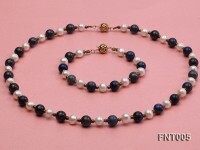 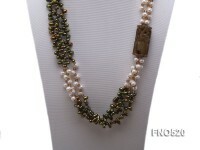 The necklace has a length of 18 inches and the bracelet 7.5 inches. 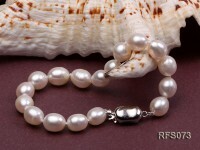 Both are closed by an argent gilded clasp. 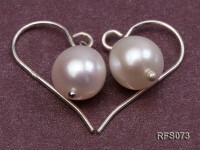 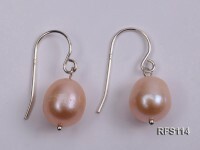 The earring hooks are made of sterling silver. 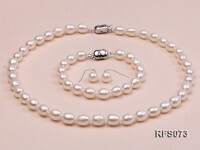 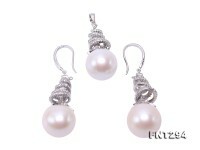 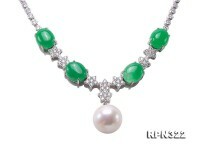 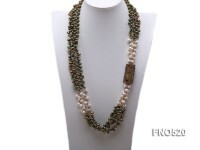 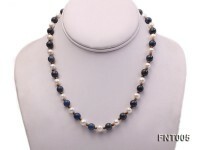 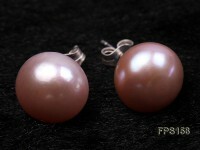 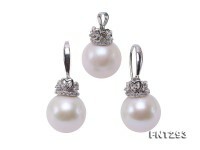 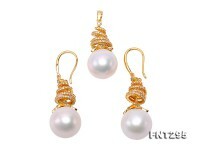 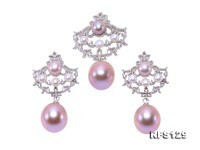 The necklace, bracelet and earrings set features lustrous, smooth and similar-sized pearls with slight blemishes. 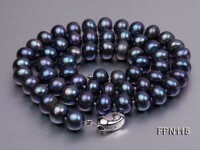 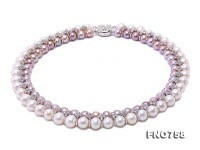 The necklace and bracelet are professionally hand-knotted between each two pearls, which makes them look nicer and protects the pearls from rubbing each other.